A week has passed since the implementation of value added tax (VAT) in UAE. Most of goods and services are slightly affected with the implementation of this new tax. But it seems that both common people and entrepreneurs have gladly accepted the slight increase of prices of various products and services as they are hopeful about the correct use of VAT. The leaders never let them down and it has been proved once again. 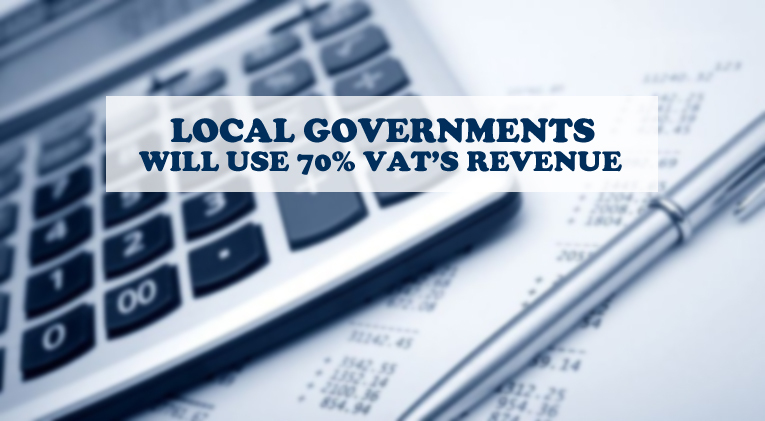 Now it has been decided by the leadership of UAE that most of the revenue generated from VAT will eventually be spend on improving living conditions of residents of UAE. A high level cabinet meeting was held on Sunday under the chairmanship of Dubai’s ruler and UAE’s PM and vice-president Sheikh Mohammad bin Rashid Al Maktoum in order to take decision regarding the expenditure of revenue extracted from VAT. It was decided during the meeting that 70% of VAT’s revenue will be given to local governments while the share of federal budget of the said revenue will be only 30%. So, the lion’s share provided to the local government will be used mainly for improvement of facilities provided to public. It means that the tax paid by residents and entrepreneurs will mostly be utilized on services for the betterment of lifestyle of people including construction of roads, water and sanitation, improvement in education, improvement of medical facilities, organization of business events etc. All these measures are critical for improvement of lifestyle of residents and growth of business opportunities. This is very good news for the residents of UAE. They will gladly accept the burden of tax that will eventually be utilized for making their lives easier and happier. We are already aware that businesses in UAE are running smoothly even after the introduction of VAT and there is no fear or tension among masses. This new order will further strengthen the belief of citizens and residents of UAE on their rulers that will be proved helpful in growth of businesses in the country.